Berlin divided into four sectors. The western sectors (blue) divided from the soviet sector (red) by the wall. 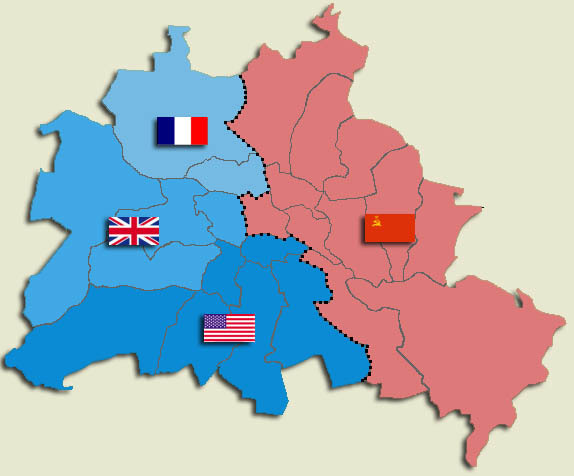 The sectors were created by splitting up the Districts of Berlin between the four powers.